“Local retailers return 55% of their income to the local economy–hiring local accountants, electricians, insurance agents, creatives, attorneys–compared to 13% for national chains. That’s a multiplier of 4. It tells me we need to make the prosperity of local business a top priority of the city’s economic development strategy. The red tape that businesses experience in this city is legendary, so much that in this year’s budget the mayor added a full-time position to be a guide for small business owners trying to navigate the system. On first blush, this might appear like a pro-business gesture. But it’s not. It’s a symptom of a broken, unintegrated system that the Mayor doesn’t care enough about to want to fix. “Hire a personal guide” might be good advice for a tourist from back East who’s going on a river trip, but everyday citizens deserve a simple, efficient, affordable and coordinated system. One that they can walk through, on their own two feet, in a matter of hours, not days. I’m the only candidate with the experience, knowledge, and will to make that happen. 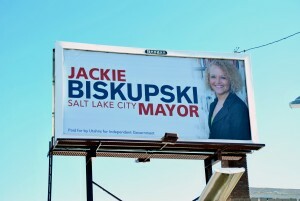 “I would continue to walk the neighborhoods and attend the community councils in Salt Lake City. I would hire more police and implement many more walking patrols. Sugar House is becoming an entertainment district and it needs to ensure that people who walk the neighborhood feel safe. 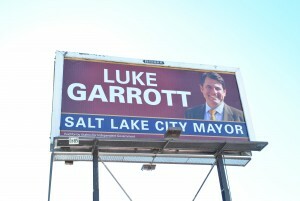 All of Salt Lake City needs a more robust bus system. The local Sugar House/21st South bus stops at 830 PM. The buses should be running much later. The UTA/SLC streetcar extension should stop and the SLC money ($5 million) used to increase service at night. The small businesses in the area can’t endure anymore street construction, which is another reason for stopping the extension. As you know, I and many business owners are fighting the Sugar House streetcar extension for that reason. I would also increase parking requirements for new developments. New developments and businesses can open without sufficient parking and local businesses and residents are expected to “give up” their on-street parking to the new businesses and residential developments. I would not allow Sugar House or other areas to install the “blue meanie” parking meters. 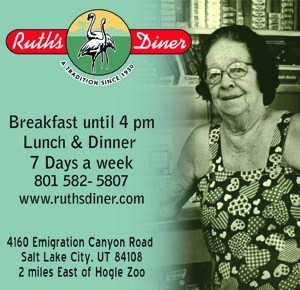 The Mayor of Salt Lake should protect the small businesses of Sugar House and other areas from gentrification from higher development, rezoning, construction and higher taxes. Road projects should not be considered without local overview and agreement. 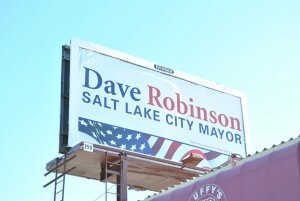 “I have a strong vision for Salt Lake City and for its small business community. 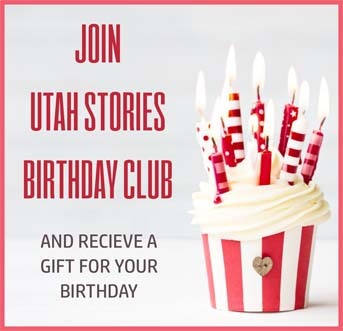 I plan to foster a startup and small business friendly environment by partnering with local venture funds and accelerators to attract more seed and early stage funding to Salt Lake. I will utilize existing real estate managed by the city’s House and Neighborhood Development division, including the old public safety building, to provide co-working space and small business accelerator offices. Small businesses are negatively impacted by too much bureaucratic red tape that needlessly wastes their valuable resources. Salt Lake City currently has an employee fee, a fee charged to employers each time they hire a new employee. I believe we should encourage hiring not penalize it and will work to eliminate this fee. We must also streamline our planning and zoning departments to ensure more efficient and effective service. I will stop the wild growth of city fees, by freezing annual automatic fee increases, and increase transparency around fees by publishing, annually, a list of changes to fees. “With near record low unemployment rates and being nationally recognized as a leader in job creation, our local economy is on a roll. We also, however, have huge potential to do more. So far in 2015, we’ve provided more loans to small businesses than any other year total since 2008, both in dollar amount and number, and the City Council recently approved my proposed Navigator position to help small business applicants at the permitting counter. I believe this kind of individualized, “let’s find a solution” approach is the key to growing our small business economy. 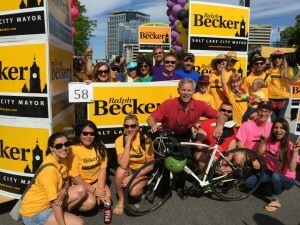 “As Mayor, what would I do to help the downtown small businesses? I am a small business owner and I know and understand many of the challenges facing our owners. 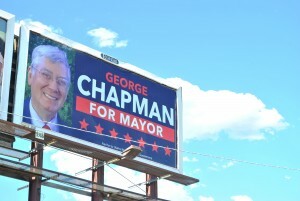 Much of my work is in downtown or adjoining neighborhoods. I know it can be difficult to compete with larger businesses, national chains and others. First and foremost, I would meet with and listen to the small business owners and managers. They are “down in the trenches” and know best the challenges they are facing. – Streamline approvals at the City for tenant improvements, new construction, etc.